Summary: If 12-year-old Cassius Clay hadn’t had his bicycle stolen in 1954, there might never have been a heavyweight champion named Muhammad Ali. When Cassius went to the police station to report the theft, Officer Joe Martin suggested he try out his boxing gym. The boy fell in love with boxing right away, and pushed himself to become the greatest. He would run alongside the school bus to build his endurance, and have his brother throw stones at him to improve his reflexes. His dream came true, first at the 1960 Olympics, where he earned a gold medal, and in the years after that, when he won 56 of 61 professional fights, was 3-time heavyweight champ, and defended his title 19 times. Out of the ring, he fought for the rights of those who were treated unfairly because of race or religion. Two pages at the end give additional information, including photos of Ali in 1954 and 1966. There’s also a bibliography and a list of additional resources. 40 pages; grades 1-5. 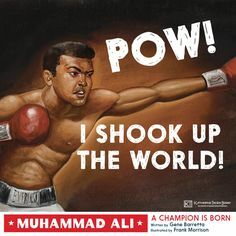 Pros: Kids will enjoy the action-packed writing and illustrations, and be inspired by Muhammad Ali’s hard work and compassion. 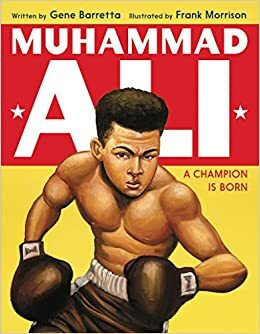 Cons: Ali’s biggest fights are described at the beginning, with the story then flashing back to his childhood; the ending seems a little abrupt, since the fights aren’t covered at that point. Summary: Julia is a girl who doesn’t think of herself as very talented. Unusually short for her age, she daydreams a lot in school and hasn’t been particularly successful in extracurriculars like soccer and piano. Her beloved dog has recently died, and she’s feeling at loose ends as the summer begins. When her mom drags her to an audition for a local production of The Wizard of Oz, Julia is sure that the only member of the family to be cast in the play will be her talented younger brother. Much to her surprise, she gets the part of a munchkin, and her summer quickly takes a surprising new turn. A little person, Olive becomes a friend and mentor, pairing with Julia in the role of lead dancer for the munchkins. The director, Shawn Barr, sees something special in Julia, and gives her an additional role as a winged monkey. And Julia reaches out to an elderly neighbor, who turns out to have a surprising talent for the theater and some wisdom to share as well. By the end of the play’s run, Julia is seeing herself in a whole new way, embracing who she is with a newfound confidence. 304 pages; grades 4-7. 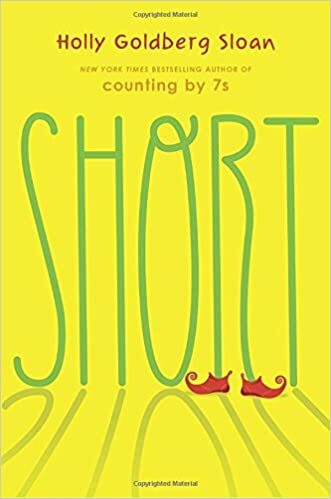 Pros: A heartwarming, funny story by the author of Counting by 7’s. Readers will root for Julia as she stumbles through her time on the stage, but never gives up and emerges triumphant by the end. Cons: For all the director was supposed to be so creative, it sounded like his production of The Wizard of Oz was a carbon copy of the movie. 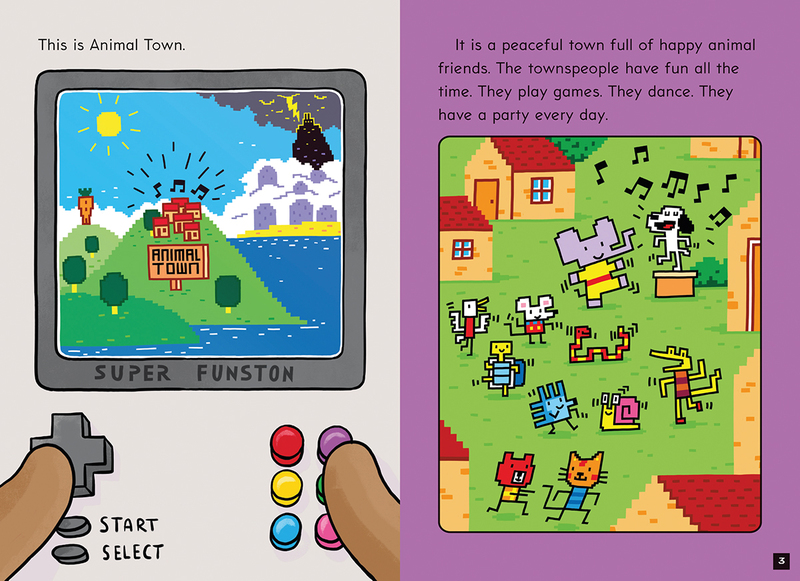 Summary: King Viking has not only kidnapped Singing Dog and taken him back to Boom Boom Factory, but he has left his Robot Army behind to stamp out all the fun of Animal Town. 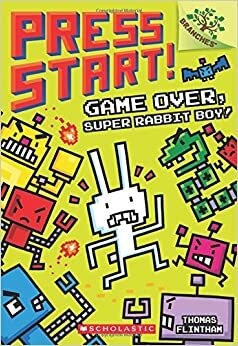 It’s up to Super Rabbit Boy to get through the six levels required to make it to Boom Boom Factory. Of course, this is all part of a video game. The boy who is playing it can’t get through all six levels on the first try…or the second, or the third. Finally, after many, many attempts, and great persistence, Super Rabbit Boy succeeds, and there is a happy ending for Animal Town. The video game is put aside, with the words “Game Over” coming from it. And then the boy’s sister picks it up…. 74 pages; grades 1-4. 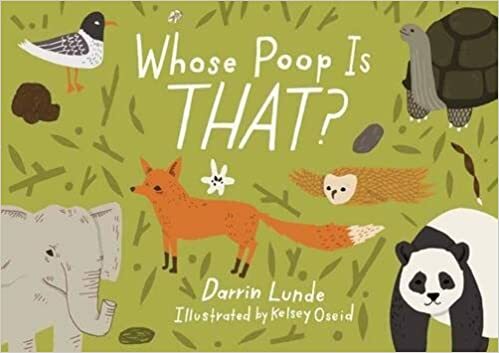 Pros: Another entry in Scholastic’s Branches imprint that is sure to be a hit with the early chapter book crowd. Lots of video game-inspired illustrations and cartoon bubble dialogue add to the appeal. Cons: This story was a little simple even for my low-brow taste. Still, I’m confident it will be loved by those in the intended demographic. Summary: It’s a perfect day for Cat, Dog, Chickadee, and Squirrel. Cat is enjoying the warm sun in the garden, Dog is cooling off in the wading pool, Chickadee is enjoying the birdseed Bert just put in the feeder, and Squirrel has a whole corncob to himself. But then…Bear shows up. 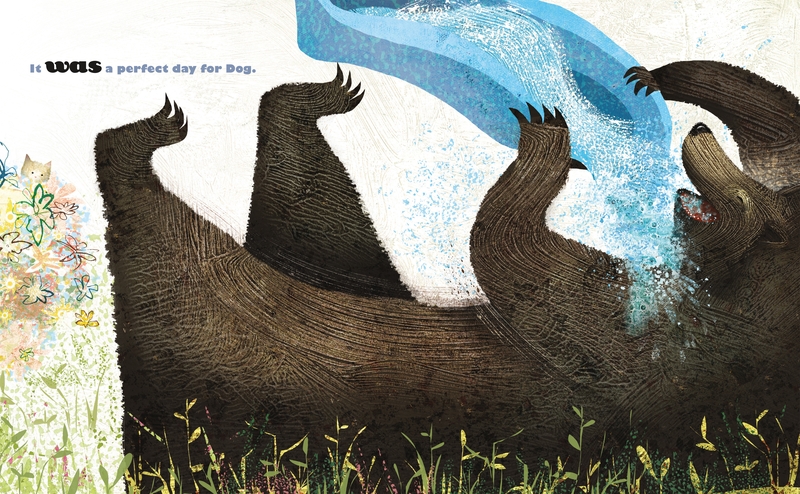 Bear crams the corncob in his mouth, scarfs down the birdseed and the water in the pool, and rolls around in the garden before falling asleep in the sun. 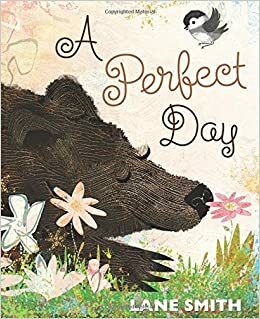 It’s a perfect day for Bear, as Bert, Cat, Dog Squirrel, and Chickadee watch from the window. 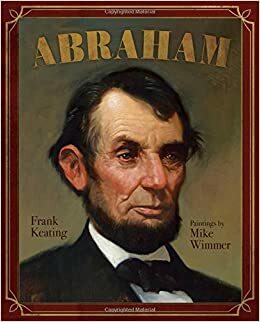 32 pages; ages 3-8. 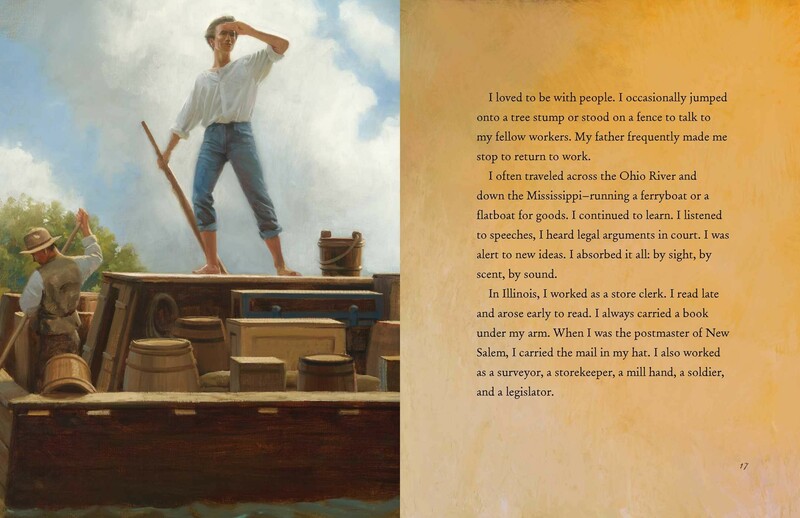 Pros: A funny story, beautifully illustrated by Caldecott honor winner Lane Smith. Cons: The whole premise seemed like a bit of a downer for everyone but Bear. Summary: 16-year-old Laurie Hernandez is living the dream, having won a gymnastics team gold medal and a silver for balance beam, at the 2016 Summer Olympics. Upon her return, she traveled with the Kellogg’s Tour of Gymnastics Champions, while simultaneously competing in (and winning) Dancing with the Stars. This autobiography tells about growing up in New Jersey as part of a loving and supporting family, overcoming a serious injury, and what it takes to become a champion. 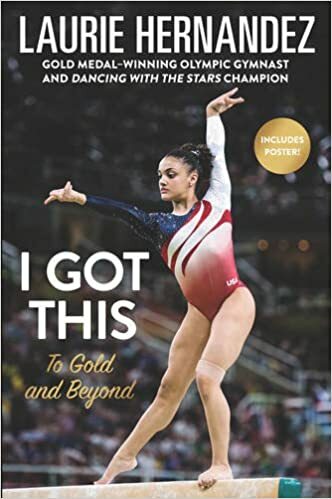 Includes 8 pages of color photos, a list of Laurie’s gymnastics records, a glossary of gymnastics terms, and several pages for readers to record their own goals and dreams. 240 pages; grades 3-7. Pros: An upbeat, inspiring memoir. Laurie was the first U.S. Latina gymnast to win at the Olympics, and clearly takes being a role model seriously. Gymnasts and Olympics fans will find this a quick and enjoyable read. Cons: There’s not a lot of deep insight here.